At Fox Kids Dentistry & Orthodontics, we strive to make an ordinary dental visit into an extraordinary experience that is hard to find anywhere else. We believe in treating our patients and their families with compassion and quality care. We are a combined Pediatric Dental and Orthodontic practice. We strive to make it convenient for our patients and their families to get more comprehensive, uninterrupted, total dental care under the continuous evaluation from both our Pediatric Dentist and Orthodontist. What this means for you is no more driving all over town to different offices. Welcome to the world of one-stop-shopping for your kids’ dental visits, where you can get your teeth cleaned and braces adjusted all in one visit! Our doctors can more easily work together to coordinate care for your child, and that means more free time for you. Our doctors stay up to date on the latest technologies in dentistry for children to ensure that our patients always receive the cutting edge in treatment. 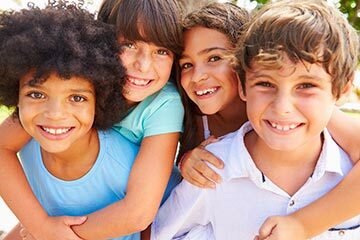 We believe in investing time and energy into implementing and utilizing advances in kids dental care to deliver the best overall experience for each patient.